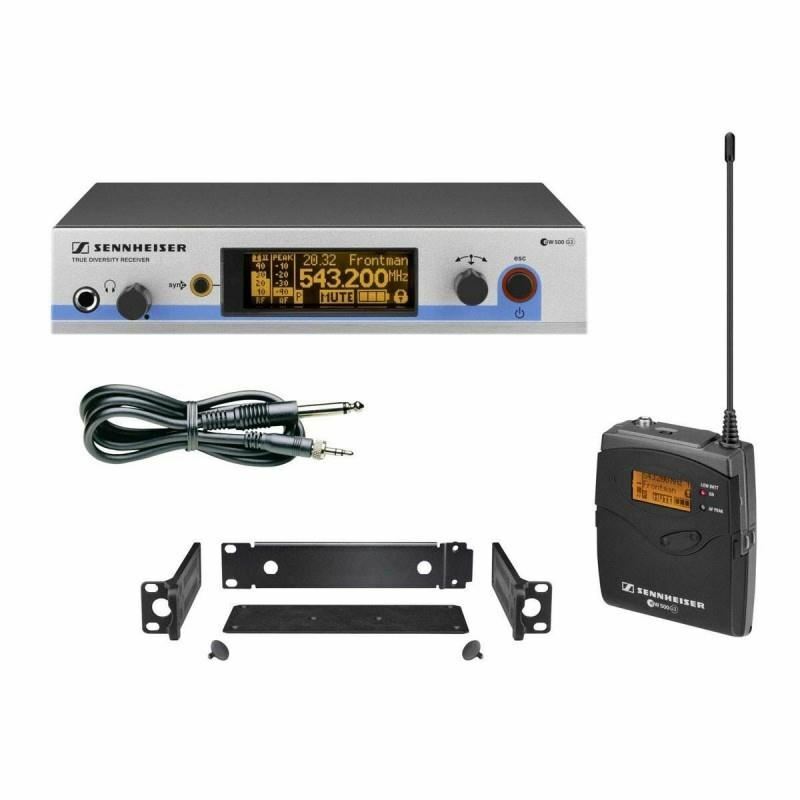 Instrument set with cable emulator and silent configuration modus: EM 500 G3 true diversity receiver, SK 500 G3 bodypack transmitter, CI 1 instrument cable. Remote-controllable via "Wireless Systems Manager". You have worked hard to achieve your signature tone, Sennheiser ew 572 G3 lets you keep that tone while clearing the stage of cables. Guitarists and bass guitarists will enjoy the features of this system even before they play a single note. In addition to automatic wireless setup via the enhanced sync function, the components can programmed without transmitting RF (silent configuration mode). The set also is equipped with soundcheck mode, which allows the signal strength and the RF and audio levels to be checked continuously on the large front panel display. An enhanced AF frequency response that starts at 25 Hz will satisfy even the most discriminating 5-string bass players. An integrated 5-band equalizer, guitar tuner, and a guitar cable virtual length emulator complete this feature-rich set. 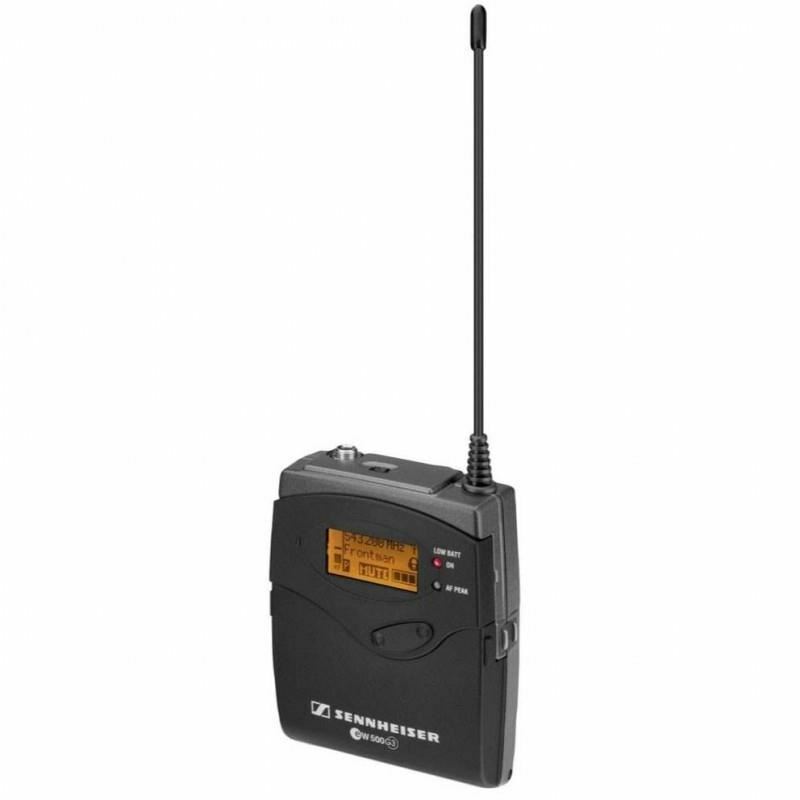 Audiocore WL-1025V (2 Bodypack Clip-on Wireless, Layar LCD)Para desainer Audiocore Instruments® memiliki satu poin kunci saat mendesain mikropon wireless Audiocore seri V ini: Value. 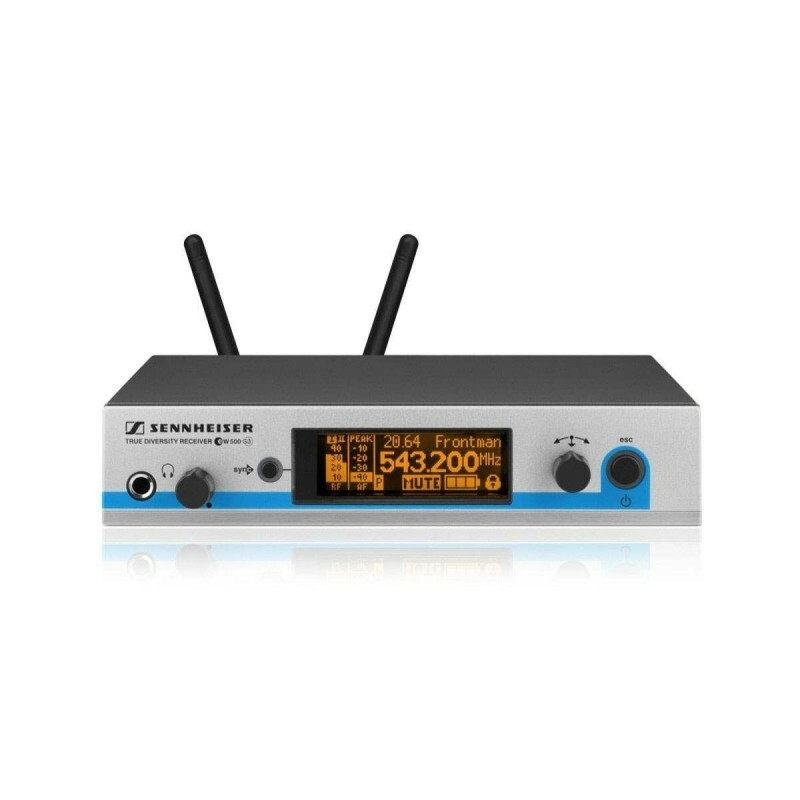 Konsep ini membawa mereka pada penciptaan sebuah seri mik wireless yang memberikan kejernihan suara luar biasa, sensi..
Shure BLX14/SM31 - Headworn Wireless SystemThe BLX14/SM31 Headworn Wireless System is part of the BLX wireless systems family.Shure BLX® Wireless Systems combine professional-quality sound with simple setup and an intuitive interface for legendary audio performance right out of the box. Precision-bu..